NJLS was established in 1929. Our clients receive expert local service at significant savings. Legal and business professionals at small to large law firms, pharmaceutical and medical device companies, realty firms, municipalities and logistics companies rely on NJLS for experienced and cost-effective pickup and delivery services. 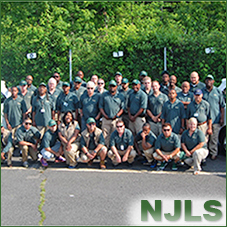 NJLS processes more than 3 million documents and packages annually and has two locations in New Jersey: our headquarters in Union and a facility in Cherry Hill, which serves the southern part of the state and Pennsylvania. When delivering documents or packages for businesses, our mission is to quickly and cost-effectively get their jobs done, inspiring confidence in our expertise. NJLS has received the Gold “Best Courier Service” seal by legal professionals who voted in the 2012 and 2013 New Jersey Law Journal (NJLJ) Reader Rankings surveys. NJLS Next Day is the lowest-cost provider of guaranteed overnight delivery service; with monthly service plans for as low as $3.88 per delivery, clients save as much as 80% compared to global carriers’ next-business day deliveries; all deliveries can be tracked online via the NJLS Client Login Web site. NJLS Same Day delivers on the same day anywhere in the New Jersey, greater Philadelphia and New York City area for prices up to 50% less compared to the competition. NJLS Light Trucking works with hundreds of freight forwarders to help move materials all over the Eastern seaboard; NJLS is the choice of many overseas pharmaceutical companies and medical device companies bringing critical products into ports of the greater New York City/New Jersey area. NJLS Drop Box Locations are an alternative with delivery guaranteed the following business day for as low as $3.88 with hundreds of drop boxes located throughout New Jersey, with a daily pickup after 7pm and a Sunday afternoon pickup of 3pm ensuring Monday delivery. To review terms and conditions of our courier offerings, please see our Services Guide.